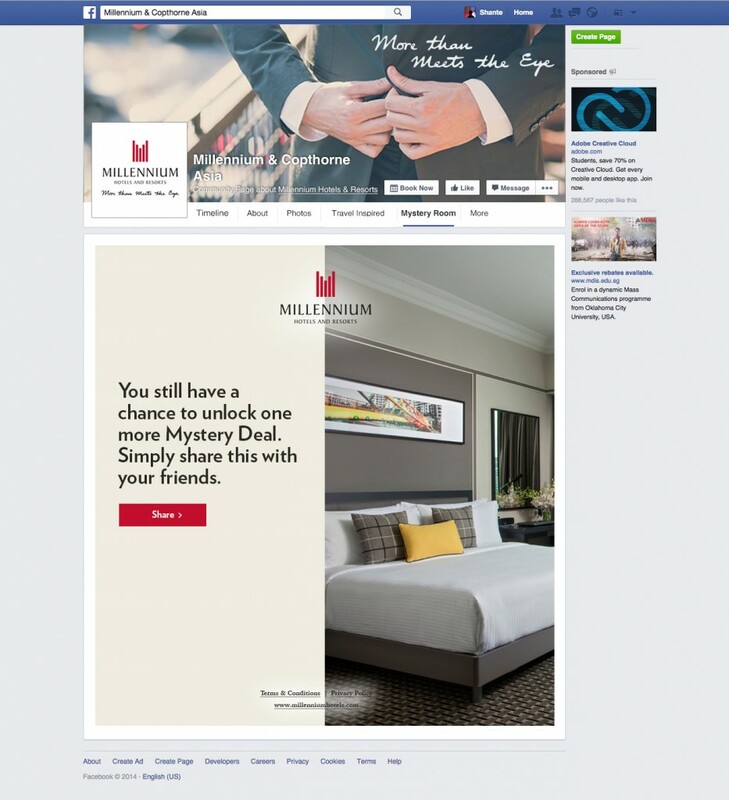 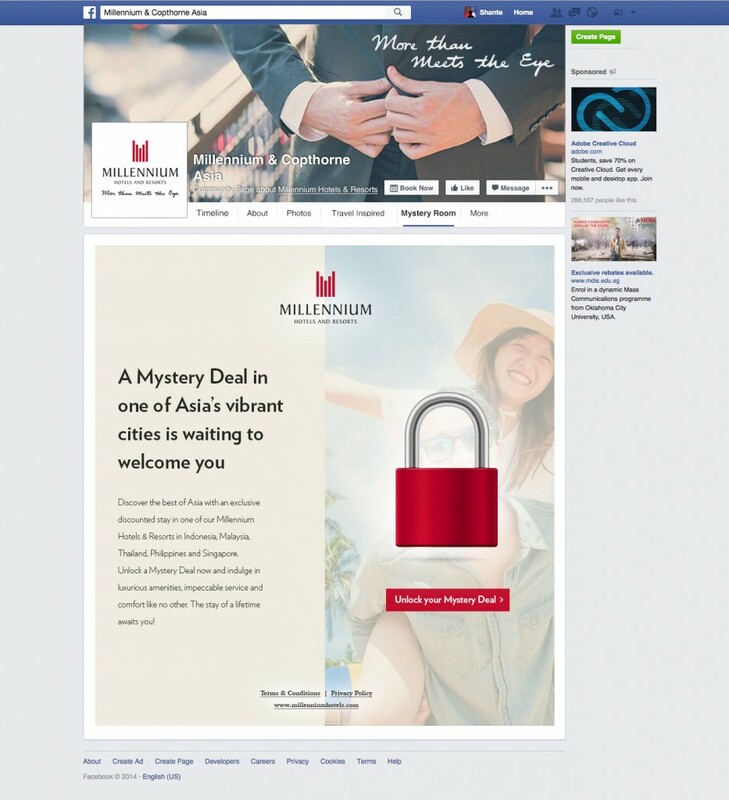 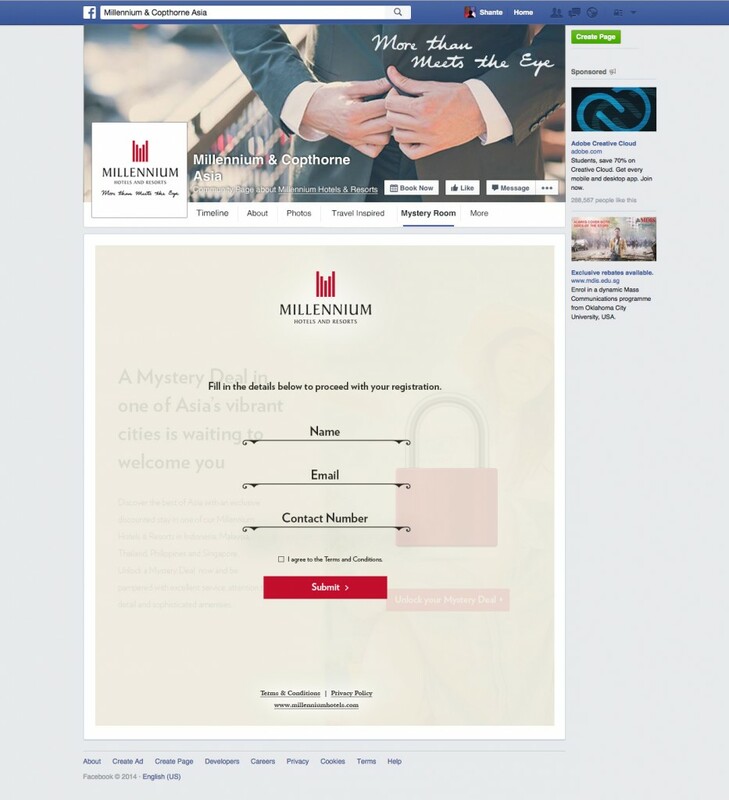 This is a Facebook app developed for Millennium Hotels & Resort for the Mystery Deal campaign. In this app, user will be able to register and open a mystery deal which is a “discount code” to a list of Hotels. Each users are limited to a maximum of 2 attempts per day, as for the second attempt only become available once they share out the app to social channel.